distribution Only known from two counties in the western Piedmont/foothills. This species has a small range in the southern Appalachians, from southwestern VA into northern AL. 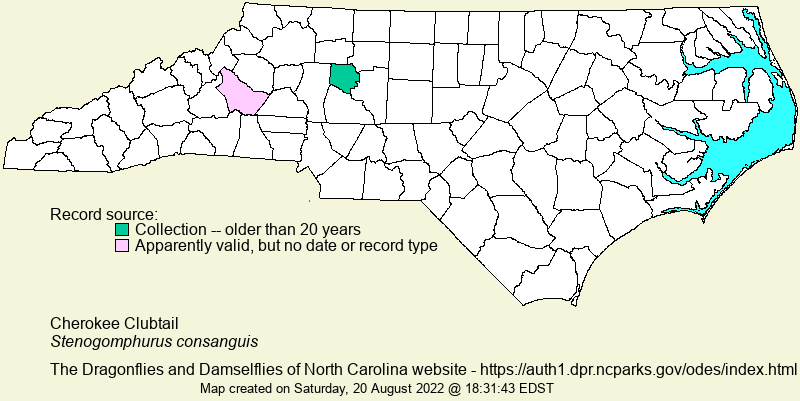 It is odd that there are no records yet from the NC mountain counties, and because it is a southern Appalachian species, it obviously must occur in the mountains only at very low to low elevations (perhaps below 2,000 feet). abundance Seemingly very rare, but part of the scarcity of records might be due to difficulty of identification (other than through collecting). Beaton (2007) calls it "Rare to locally uncommon" in its small GA range. flight Late May to mid- or late June in GA (Beaton 2007). The only record available in NC with a date is for 20 May, which seems surprisingly early (compared with GA flight dates). The NC flight in the central/western Piedmont of NC thus might start in mid-May, but is expected to extend well into June. habitat Only near small streams in forests, often near springs, or where spring-fed. behavior Males perch close to such streams and springs, and have a slow flight close to the water. Both Beaton (2007) and Dunkle (2000) call the species "unwary" near these creeks. 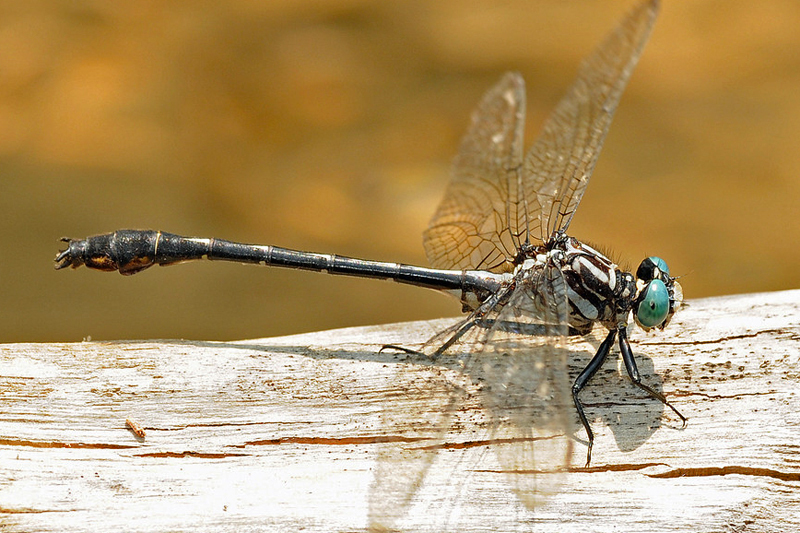 comments This is one of most poorly known dragonflies in NC, and no living person has probably seen it in the state. Few biologists are actively searching for odonates in the mountains and upper Piedmont, so its status will probably be poorly known for years. Add to this the similarity in appearance to the Sable Clubtail, and it is understandable that there are no certain recent records. However, there have been observations and photos in the past several years in Madison County of individuals that were one of these two species but that couldn't be confirmed. Note that NatureServe's global rank is G3; thus, any and all records are of great interest.